MAGICK RIVER: 'March to Putrajaya' now online! Malaysian users with their internet services provided by TMnet (a quasi state-owned entity) are being blocked from accessing themarchtoputrajaya.com. 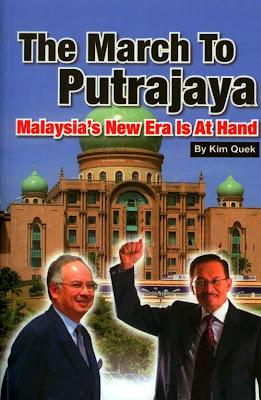 TMnet users who wish to read Kim Quek's banned book can go to themarchtoputrajaya.wordpress.com instead.